France-based Areva, an industrial conglomerate, and utility giant EDF have signed two sets of agreements with Saudi firms and universities aimed at supporting the kingdom’s nuclear energy programme. The two companies have signed Memorandums of Understanding (MoUs) with Zamil Steel, Bahra Cables, Riyadh Cables, Saudi Pumps, Descon Olayan. These agreements aim to develop the industrial and technical skills of local companies, marking Areva and EDF's desire to build an extended network of Saudi suppliers for future nuclear projects in the country. A second series of agreements signed with four Saudi universities (King Saud University in Riyadh, Dar Al Hekma College and Effat University in Jeddah and finally Prince Mohammed bin Fahd University in Al-Khobar), are intended to contribute to the development of nuclear expertise in the country. 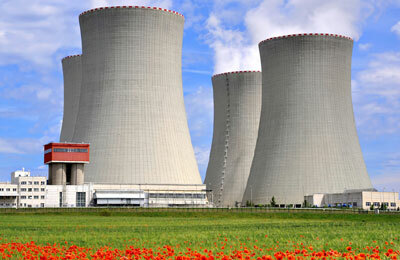 These agreements follow on from the previous operations organized by EDF and Areva, through their joint office in Riyadh. These include the "Suppliers’ Days" in March and October 2013, the visit to France by Saudi industrial companies in November, the agreement signed with the local professional training institute (NIT) in July 2013, the visits to French nuclear facilities organized for Saudi university faculty members in June 2013 and internship offers made to Saudi students since the summer.